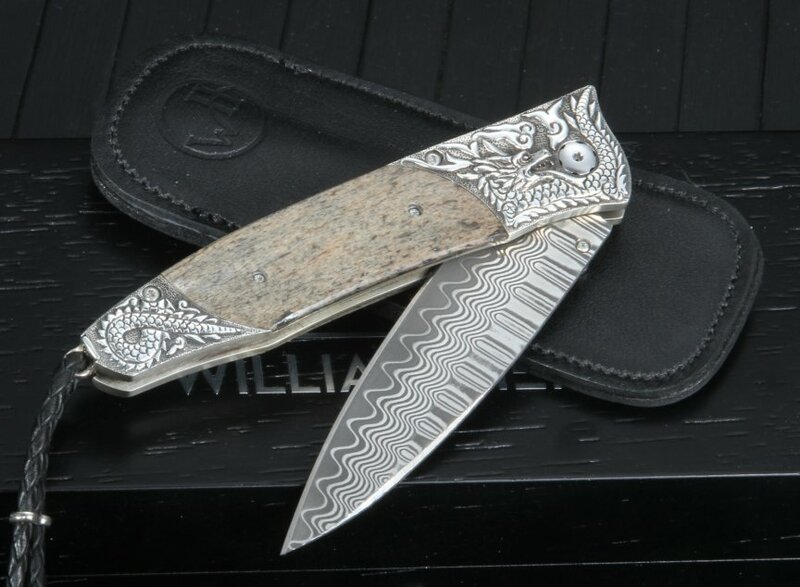 The William Henry B30 Dracha is an upscale pocket knife that features a selection of fossil mammoth bone in between carved handles of sterling silver. The handle of fossil woolly mammoth bone is stabilized for increased durability and longevity. 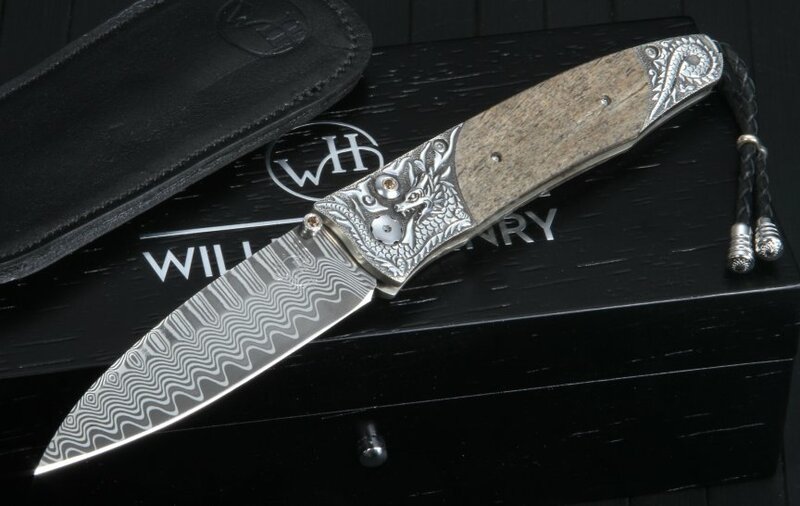 The William Henry damacus folding knife has smokey quartz inlays on both the button lock and the thumb stud. The Dracha is is a limited release of only 10 knives - so there are very few of these made. The blade on the WH knife has forged "Wave" pattern damascus blade has a ZDP-189 core. ZDP-189 steel is well know for its edge retention and cutting ability. The B30 William Henry is shipped with a in sterling silver bale with a black leather braided lanyard with beads. 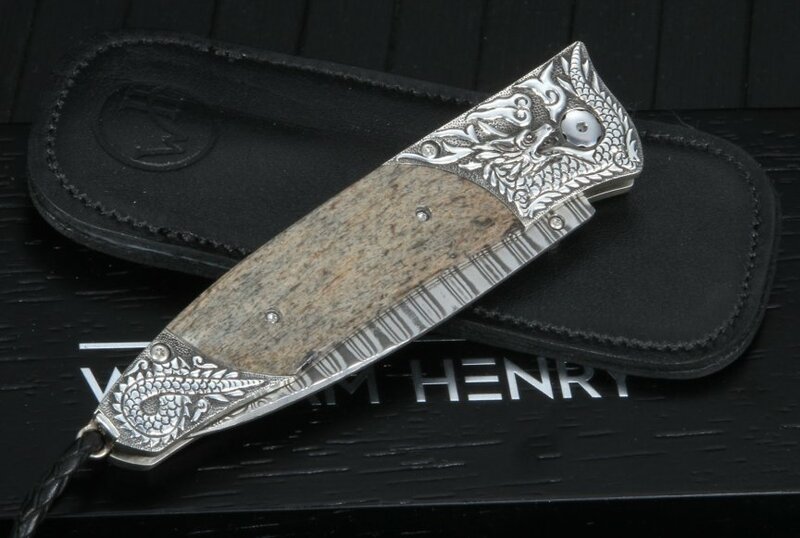 This American-made pocket knife is packaged in an upscale wood box and includes a certificate of authenticity. KnifeArt.com is an authorized dealer of Wiliam Henry and has a full satisfaction guarantee and free US shipping.